Viva Puerto #13 | Viva Tom Zap! Tom and Nancy Penick are a quiet couple who spend most of the year in Leander, Texas; they are also, as the the creators of Tomzap.com, one of the major promoters of American and Canadian tourism to the Pacific Coast states of Oaxaca, Colima and Jalisco. Just in the month of January 2014, the site received 56,000 unique visitors who together viewed a total of 1,500,000 pages! Tomzap also features 12 different visitor-comment forums for communities ranging from Manzanillo to Oaxaca City and Zipolite. The most popular are for Barra de Navidad-Melaque and Puerto Escondido. The posts on the Puerto forum can be silly and infuriating, but they are also the best source of information in English about what is happening in Puerto, be it an impending storm or a protest that has closed the highway. You must register with Tomzap in order to view or participate in the Puerto Escondido forum. Tom and Nancy began the website in 1994 when there were no commercial Internet sites in Mexico and few in the U.S. “It was an interesting time,” Tom says, “we had this new tool and we weren’t quite sure what to do with it.” Tom is an electrical engineer who designs circuit boards and LED lighting, besides being vocalist and lead guitar of a rock band also called Tomzap. He does all the technical work involved in keeping the site up. Nancy is a technical writer, and since 2003 she has been in charge of moderating the forums. Religious and political topics are not permitted, nor are attacks on other users. Over the years, she has had to ban people who wanted to hijack the forums for their own purposes. 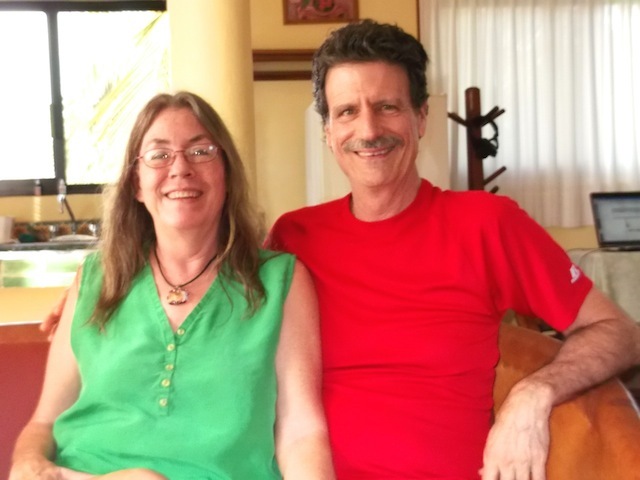 Tom and Nancy first visited Puerto in the early 1980s and have been back many times since them. Not to be missed are the aerial photos they took of the Playas of Oaxaca from Chacahua to Huatulco in 2009.